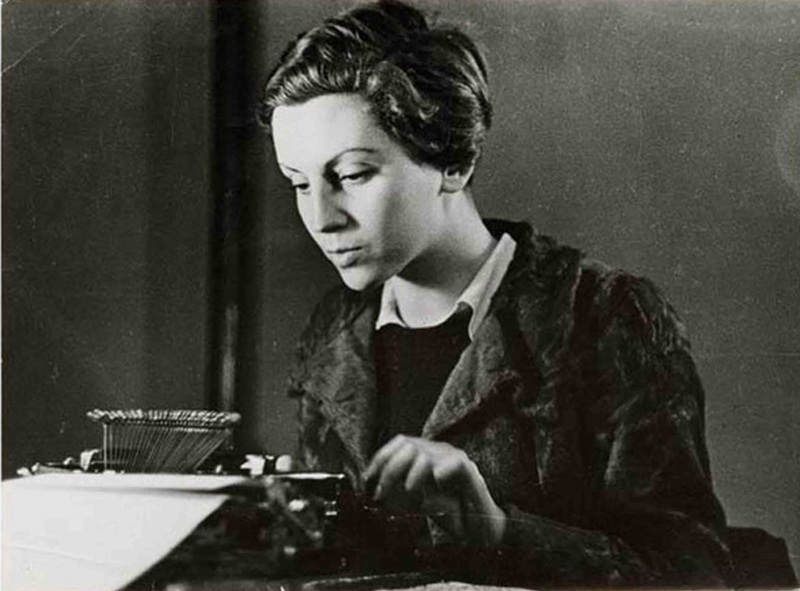 using her Remington Model 1 portable typewriter. 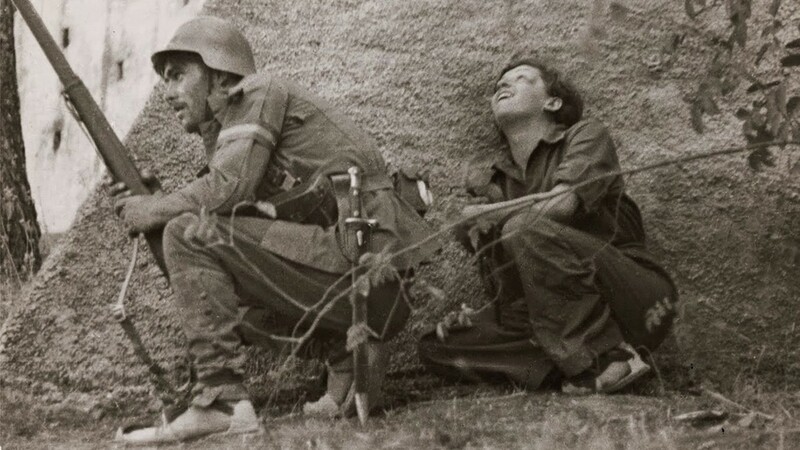 Groundbreaking German photojournalist Gerda Taro, crushed to death by a charging Loyalist tank outside Madrid during the Spanish Civil War in 1937, is the subject of today's Google Doodle. 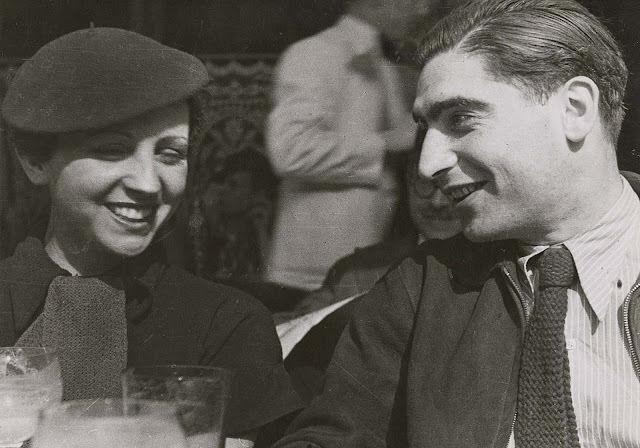 The occasion marks 108 years since Taro, who gave her lover Robert Capa his famed name, was born the daughter of a Jewish grocer in Stuttgart (on August 1, 1910, as Gerta Pohorylle). 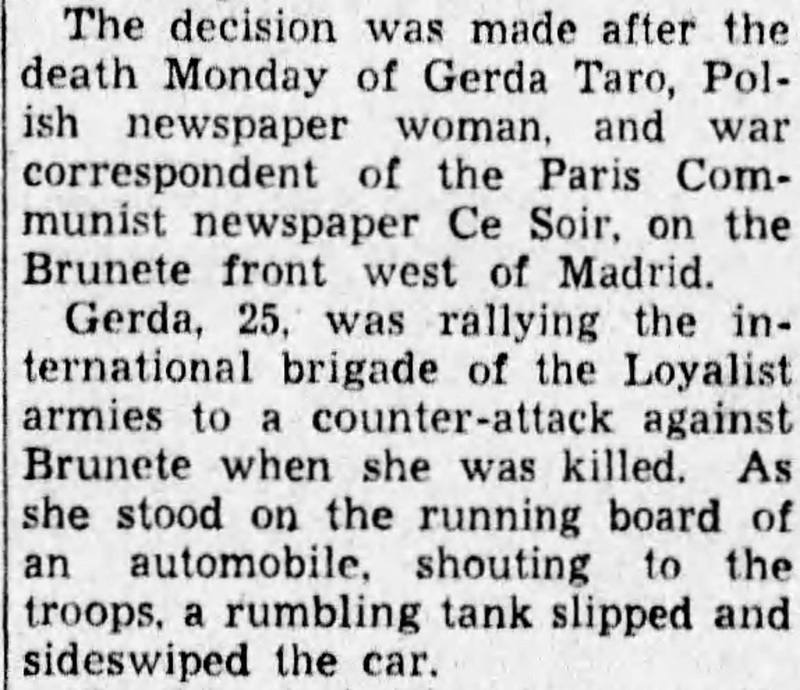 She was fatally injured at Brunete on July 26, 1937, six days before her 27th birthday. 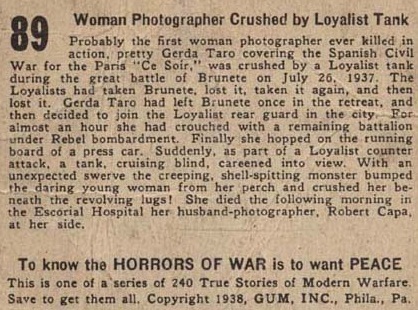 Taro is regarded as the first female photojournalist to cover the front lines of a war, and was the first to die while doing so. 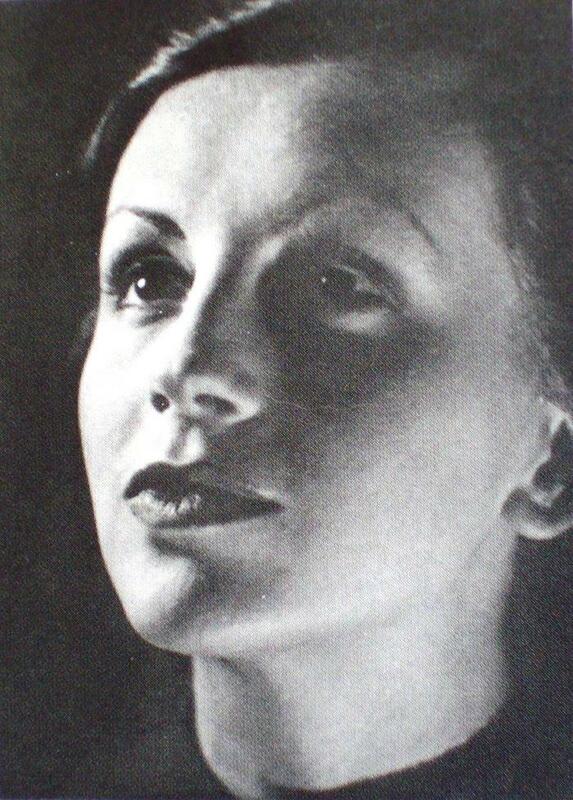 She was also the only woman to break Capa's heart. 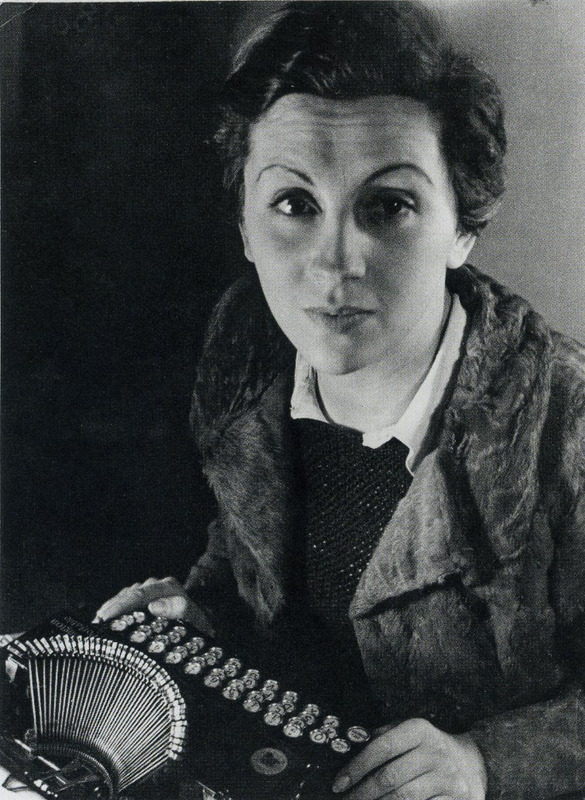 Educated at a boarding school in Switzerland, Taro was jailed in Leipzig in 1933 after her brothers had distributed anti-Nazi propaganda. 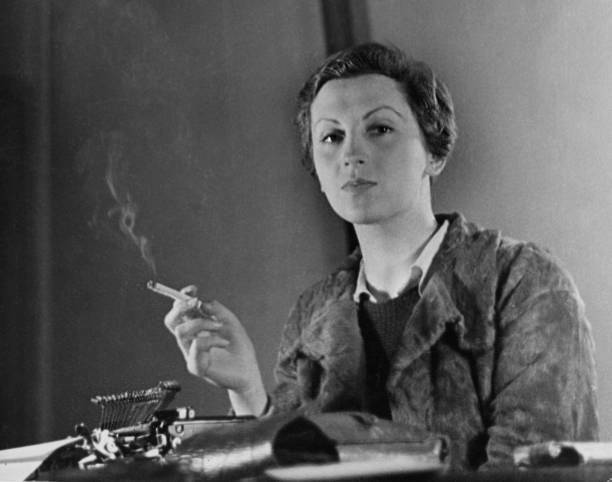 She moved to Paris in October that year and in 1935 met Endre Friedmann, whose name she would later change to Robert Capa. Taro worked as a picture editor for Marie Eisner at Alliance Photo, and adopted the name Gerda Taro from the Japanese artist Tarō Okamoto and Swedish actress Greta Garbo. 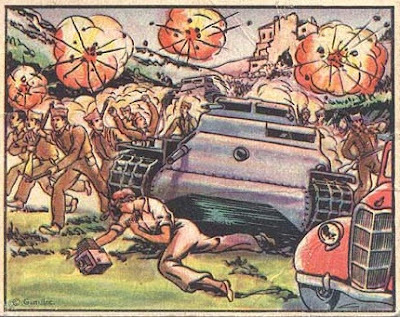 When the Spanish Civil War broke out on July 17, 1936, Taro and Capa travelled to Barcelona and covered the Aragón Front and fighting around Córdoba. Taro had signed up with Ce Soir, a leftist French newspaper. 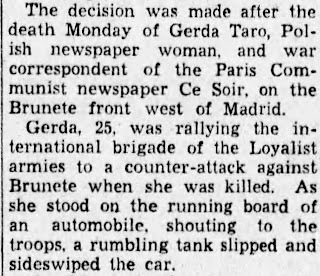 She went on alone to cover the Valencia bombing and the fierce fighting around Brunete. At first Taro used a medium format Rolleiflex TLR camera with a non-coated Carl Zeiss Jena Tessar lens, then a Leica II (Model D) with Nickel Elmar lens and a Leica III (Model F). Photographing the Loyalist army retreat at Brunete, Taro had hopped on to the running board of Federated Press reporter Ted Allen's car, when an advancing Loyalist tank crashed into its side. Taro suffered critical wounds and died in El Goloso English Hospital in Madrid the next morning. Capa said his life "came to a kind of end". The information on this 1938 GUM card was gathered from LIFE magazine's tribute to Taro, published immediately after her death. The last sentence is wrong. Capa was not Taro's husband and he found out about Taro's death through newspaper reports. 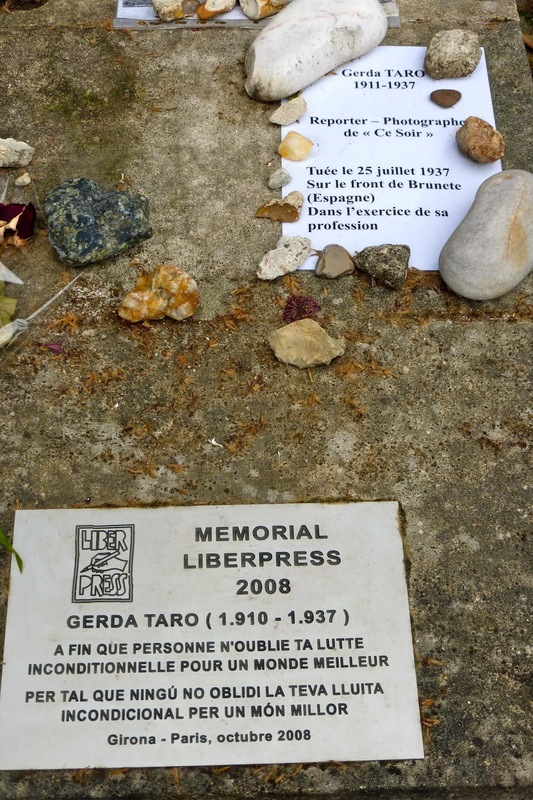 On this day in 1937, the French Communist Party gave Taro a grand funeral in Paris, and buried her at Père Lachaise Cemetery. A book titled Death in the Making, by Taro and Capa, was published the following year. Taro and Capa photographed by Stein at the Cafe du Dome in 1935.